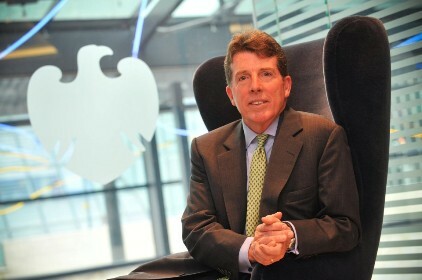 Former Barclays chief Bob Diamond has switched his PR advisers as he battles to salvage his professional reputation after his controversial exit from the bank. PRWeek has learned that the former Barclays CEO has been receiving media and reputation management advice from StockWell Communications in recent weeks. Diamond called in Maitland in the immediate aftermath of his resignation from Barclays and high-profile appearance before Parliament's Treasury select committee in July. Maitland's work ended shortly after this initial engagement after 'strategic differences'. It is thought that Maitland's engagement stemmed from Diamond's previous use of Maitland's sister agency in the US, The Abernathy MacGregor Group. After the initial media flurry around his Barclays exit, Diamond spoke to a small number of UK City agencies and engaged StockWell towards the end of July. Philip Gawith, managing partner at StockWell, confirmed the agency was currently engaged by Diamond. The agency's brief is understood to focus on helping Diamond counter overly negative UK media coverage concerning his time at Barclays. Diamond's name remained in the headlines during August after MPs accused him of giving 'highly selective' evidence before the Treasury select committee. His time in charge of Barclays has also been significantly commented upon in the coverage of the appointment of his successor, Antony Jenkins, on 30 August and reports detailing Jenkins' strategic vision for the bank. Diamond resigned after Barclays was fined £290m by the FSA for its manipulation of Libor, the inter-bank lending rate.